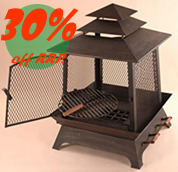 Chiminea: Largest range of discounted Cast iron Chimineas UK online. 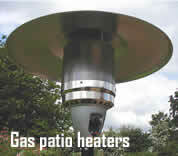 Free delivery: mainland UK deliveries on all chimineas. Massive savings on Cast Iron Garden furniture & metal patio sets. Chimineas with castings of exceptional quality, finished in a leading High temperature coating, guaranteed to be the thickest and strongest chimeneas available in the UK and offered at incredible direct from manufacturer prices. The questions to ask ! One of our latest entry models representing excellent value for money. Dual purpose oven and open top BBQ. Excellent choice for entertaining.